The federal government, states and local governments between January and June 2018 have received a total of N4.1tn from the Federation Account, PUNCH reports. An analysis of the Federation Account Allocation Committee distribution showed that unlike in 2017 when the revenue allocation to the three tiers of government was low, the 2018 fiscal period has been very rewarding despite crude oil production shutdown. The committee headed by the Minister of Finance, Kemi Adeosun, is made up of commissioners for finance from the 36 states of the federation, the Accountant General of the Federation, and representatives of the Nigerian National Petroleum Corporation. 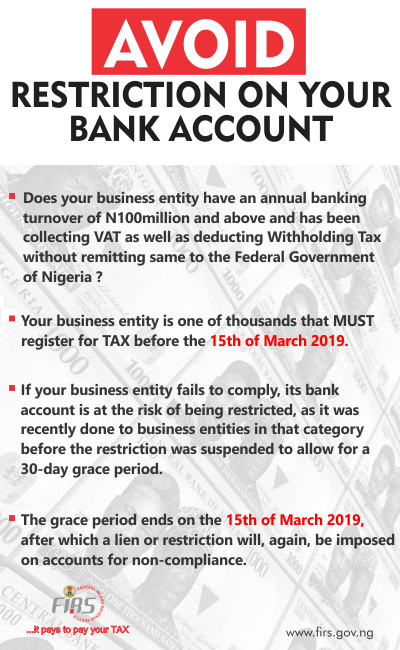 Others are representatives of the Federal Inland Revenue Service; the Nigeria Customs Service; Revenue Mobilisation, Allocation and Fiscal Commission as well as the Central Bank of Nigeria. The Federation Account is currently being managed on a legal framework that allows funds to be shared under three major components of statutory allocation, Value Added Tax distribution and allocation made under the derivation principle. The framework also provides that Value Added Tax revenue be shared thus: Federal Government, 15 per cent; states, 50 per cent; and local governments, 35 per cent. Similarly, extra allocation is given to the nine oil producing states based on the 13 per cent derivation principle. A breakdown of the N4.1tn showed that the sum of N635.5bn was shared in January to the three tiers of government. Out of this amount, the Federal Government got N263.27bn; state governments, N172.87bn; while the 774 local governments councils received N121.98bn. Similarly, N52.04bn was paid to the oil producing states based on the 13 per cent derivation principle. For the month of February, the committee distributed the sum of N647.39bn among the three tiers of government. Out of this amount, the Federal Government received N257.92bn, while the states and local governments shared N130.82bn and N100.86bn, respectively. For the month of April, the sum of N701bn was shared to the three tiers of government. An analysis of the monthly FAAC report showed that the N701bn was made up of statutory allocation of N613.05bn, while the balance of N87.96bn was distributed under VAT revenue. From the N613.05bn shared under statutory allocation, the Federal Government got N276.53bn; the states, N140.26bn; and local government councils, N108.13bn. For VAT of N87.96bn, the Federal Government got N12.5bn; states, N41.7bn; and local government councils, N29.19bn. For the month of May, the committee shared the sum of N668.8bn made up N575.47bn as statutory revenue, while N93.42bn was shared from VAT revenue. From the total statutory revenue of N575.47bn, the Federal Government got N268.77bn; states, N136.324bn; and local government councils, N105.1bn. In addition to the revenue received by the three tiers of government, the oil producing states got the sum of the N53.07bn based on the 13 per cent derivation principle. For VAT revenue of N93.42bn, it was shared thus: the Federal Government, N13.45bn; states N44.84bn; while the local government councils received N31.39bn. For the month of June, the FAAC allocated the sum of N821.6bn to the three tiers of government. A breakdown of the amount showed that the Federal Government got N315bn; the 36 states, N194.5bn; and the 774 local government councils, N147.05bn. Similarly, the sum of N42.84bn was allocated to the oil producing states based on the 13 per cent derivation principle.